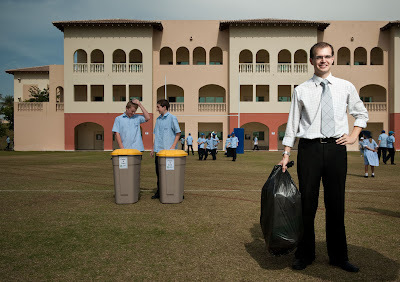 Just saw this picture appear in Businessweek this morning. This was from a quick shoot with a very cooperative and patient Kim Kyeho, Exec. 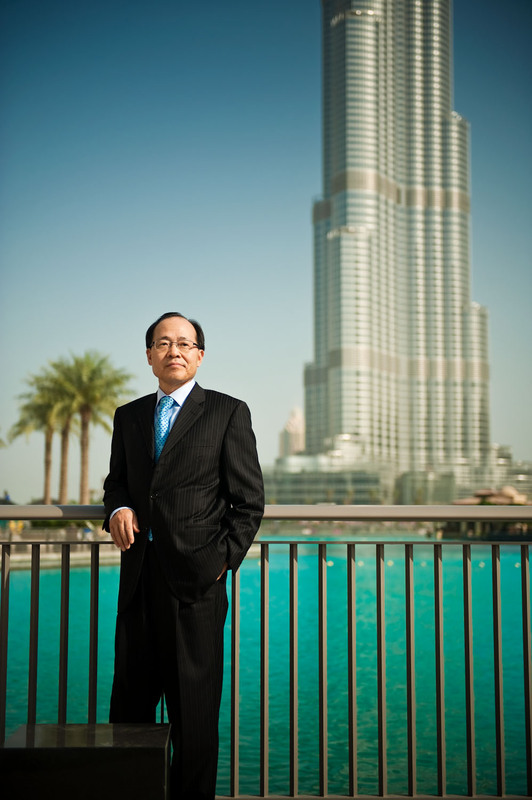 VP of Samsung C&T in Dubai. 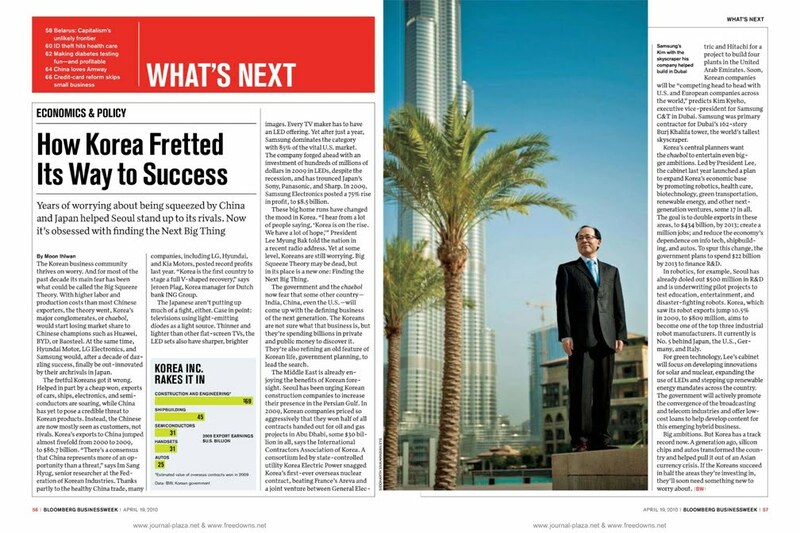 Samsung was involved in the construction of the Burj Khalifa and naturally Scott Mlyn from Business Week requested that I shoot the portrait in the vicinity of this incredible tower. As per usual, I had no permits and had to ditch the lights, softboxes, umbrellas and other lighting paraphernalia; which was just as well since I my usual assistant was out of town. I remembered from an earlier shoot that the sun light around 8-8.30 am is really good at this location and decided to shoot this handheld and unlit! Very different from my usual approach. A very patient and amused Mr Kim was asked to climb up on to a little ledge for me to take this shot. All in all a quick little shoot that I was happy with. I haven't heard from Scott since I delivered, so I am assuming he was satisfied! Next up is something I shot for Kristine Bacharach at the National for the M magazine. 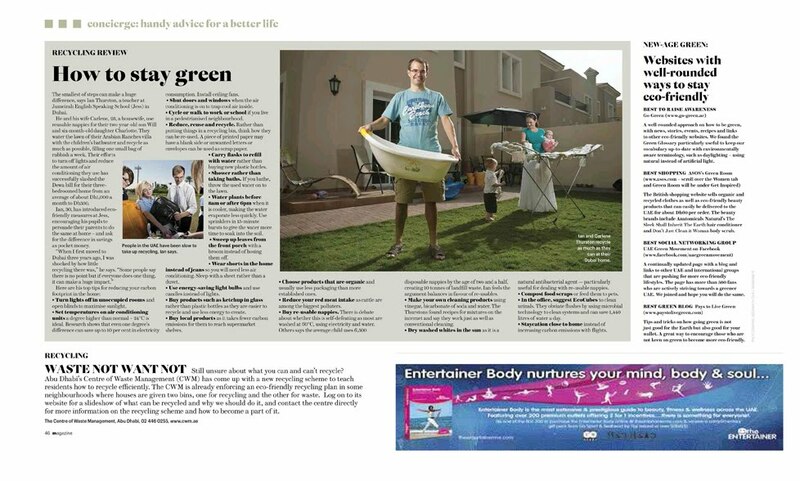 This was a shoot with a teacher at Jumeirah English Speaking School named Ian Thurston, his wife Carlene and their two small children. I photographed Ian at the school with his students who he is educating on recycling and other 'green' practices. 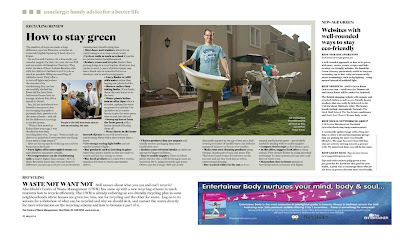 He is a great believer in 'reduce, reuse and recycle' and has given tips on how to stay green in one's daily life. I also photographed him with his family at his house in the Arabian Ranches. It was a fun shoot with a very patient and gracious family! Here are some other shots from the two assignments. 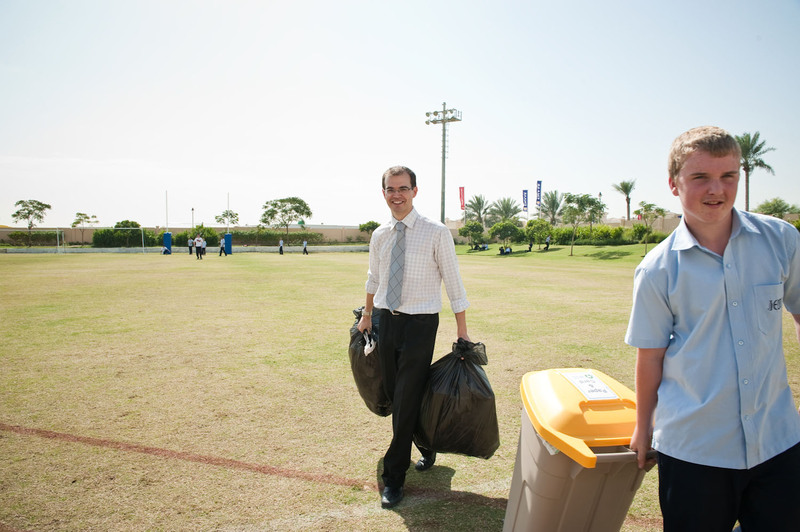 Ian Thurston at the Jumeirah English Speaking School(JESS). This was lit with a Bowens Esprit 500 with a medium Wafer Hex softbox high on camera right. 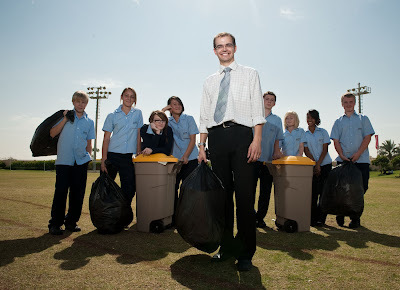 Ian Thurston with students at JESS. This was lit with Nikon SB 800 speedlight high camera right. Had to quickly shift to this lighting after the Bowens 500 head stopped firing, yet again, because of the heat! Ian Thurston at his Arabian Ranches residence with his wife Carlene and daughter Charlotte, 5 months. Ian uses Charlotte's bath water for the garden. Ian is lit with the Bowens Esprit 500 and Wafer Hex medium softbox while Carlene and Charlotte are lit with 2 NIkon SB 800 speedlights in a Westcott softbox. Ian and Charlotte in their kitchen. I placed a Bowens Esprit 500 with the Wafer Hex medium softbox outside the window on camera right to keep it looking natural.